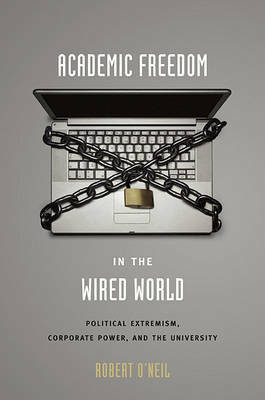 In this passionately argued overview, a longtime activist-scholar takes readers through the changing landscape of academic freedom. From the aftermath of September 11th to the new frontier of blogging, Robert O'Neil examines the tension between institutional and individual interests. Many cases boil down to a hotly contested question: who has the right to decide what is taught in the classroom? O'Neil shows how courts increasingly restrict professorial judgment, and how the feeble protection of what is posted on the Internet and written in email makes academics more vulnerable than ever. Even more provocatively, O'Neil argues, the newest threats to academic freedom come not from government, but from the private sector. Corporations increasingly sponsor and control university-based research, while self-appointed watchdogs systematically harass individual teachers on websites and blogs. Most troubling, these threats to academic freedom are nearly immune from legal recourse. Insisting that new concepts of academic freedom, and new strategies for maintaining it are needed, O'Neil urges academics to work together--and across rigid and simplistic divisions between "left" and "right."